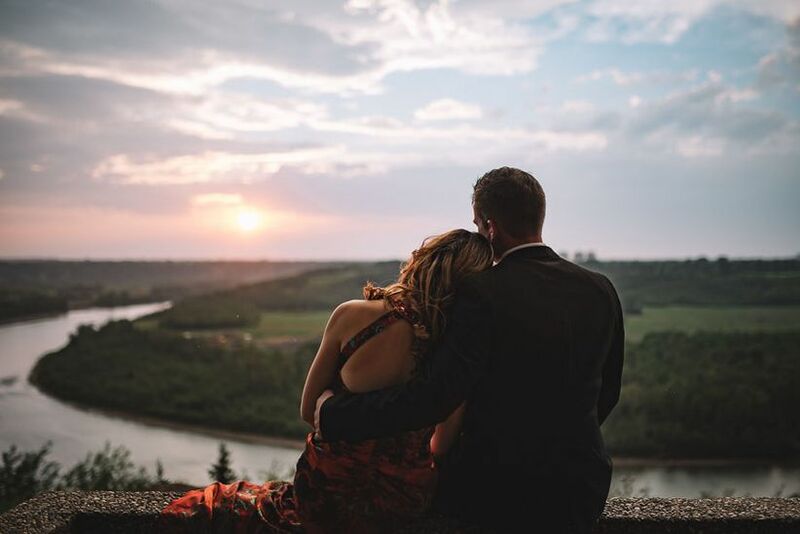 The Most Romantic Places to Propose in Edmonton | Wedding Ideas ARE YOU A VENDOR? 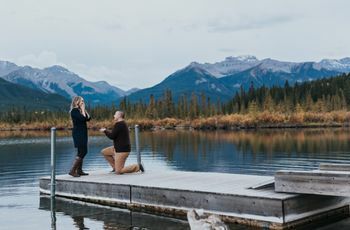 Are you looking for a romantic place to propose in Edmonton? 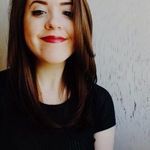 Here are some spots worth considering. 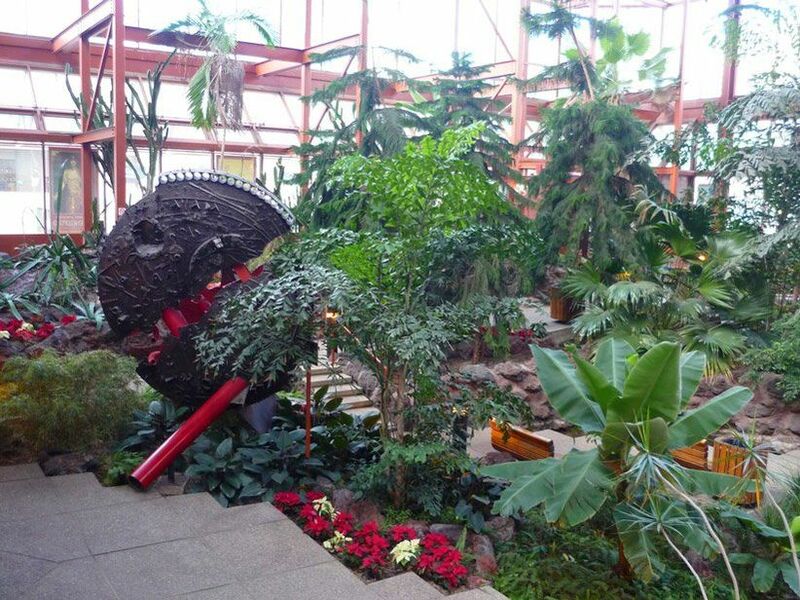 If you’re on the hunt for a romantic place to propose in Edmonton, look no further. We’ve compiled a list of stunning restaurants, green spaces and more that are truly worthy of your big moment. 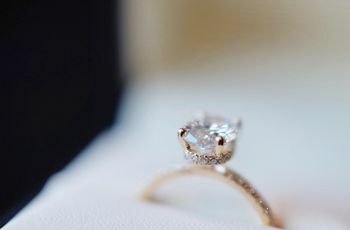 Now all you have to do is get your hands on an engagement ring and finish penning that stellar marriage proposal speech that’ll knock your S.O. off their feet. 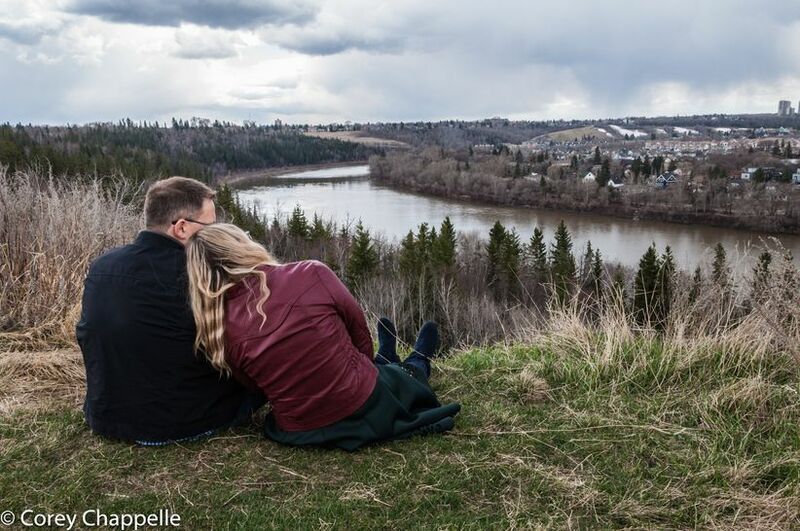 Here are the most romantic places to propose in Edmonton. 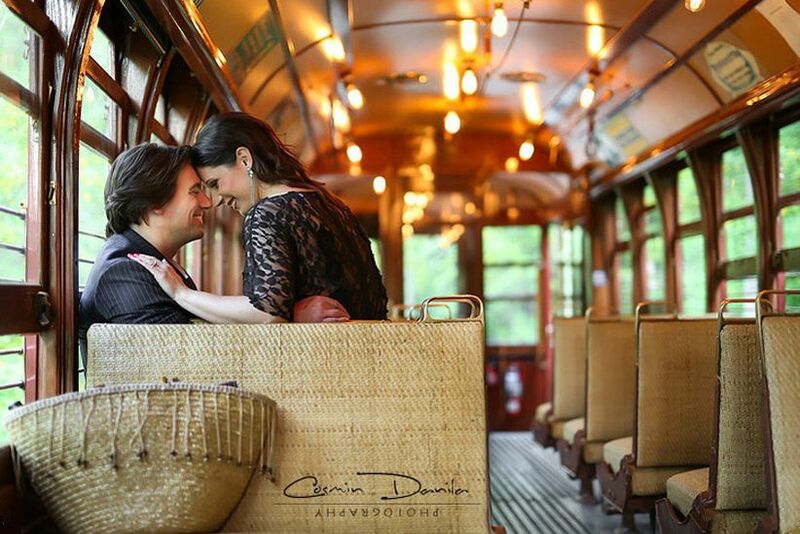 Skip the limousine - hop aboard an old fashioned streetcar for your epic Edmonton marriage proposal! The High Level Bridge Streetcar will transport you back to simpler times, making it the perfect option for a vintage-loving duo. Pro tip: if you don’t want to risk being crammed in with tourists and families, book a private charter. You and your partner will have the whole vehicle to yourselves, making the event way more magical. The Creperie has been dubbed Edmonton’s most romantic restaurant, so naturally it deserves a spot on this list. It serves up French eats (the menu is crepe focused, obvi) in a cozy, inviting space. Dive into your favourite sweet or savoury dishes, order a fancy bottle of wine and when you’re finished indulging, pop the question. 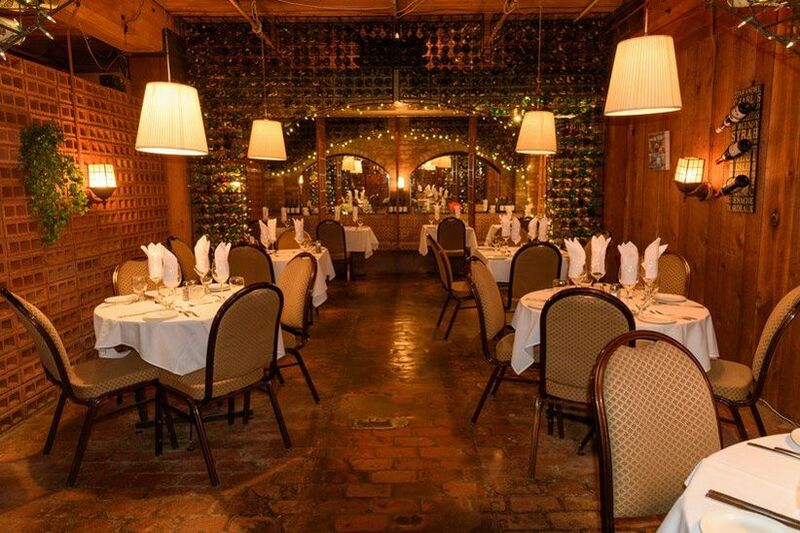 Pro tip: if you really love this spot, you can book their private room for an intimate wedding, too. 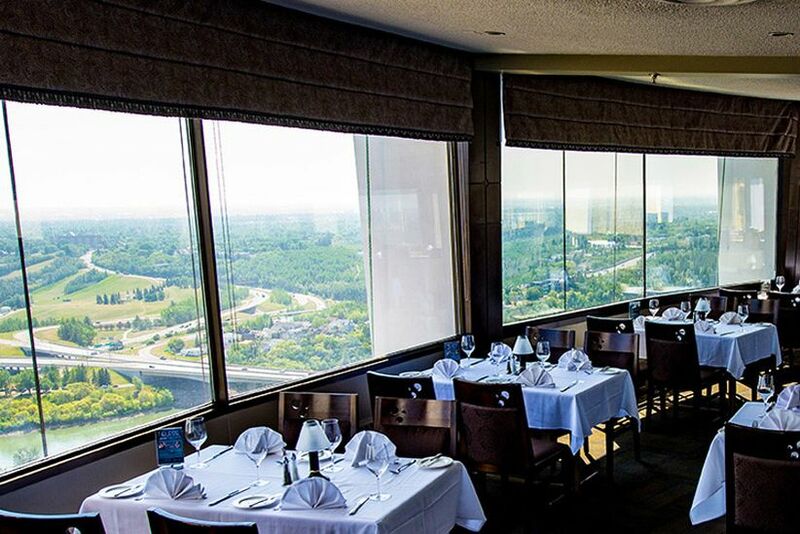 If you love the idea of the classic restaurant proposal, the city is stacked with stunning bistros, boulangeries and restaurants, and La Ronde is one of its best. It’s perched on the 24th floor of the Chateau Lacombe Hotel and spins slowly to offer amazing views of the streets below. Aim for sunset or a starry night and your proposal is bound to be one for the books. 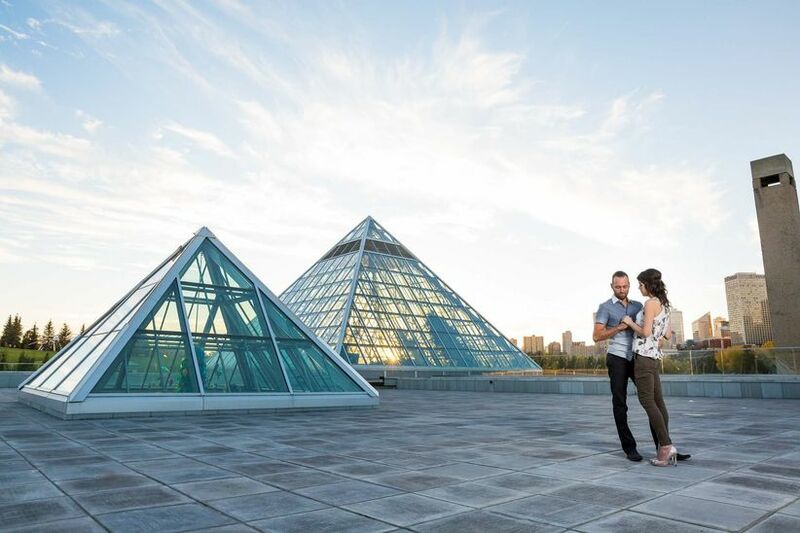 Without a doubt, the Muttart Conservatory is one of the most romantic places to propose in Edmonton. Its glass pyramids are filled with exotic flora and fauna that you won’t find anywhere else in the city (making it an awesome spot to get wedding flower inspo, too). P.S. You can book a pyramid of your choosing for a private photography sesh, if you want to give your engagement photos some flower power, too. Don’t have enough cash or vacation days to escape Edmonton for your proposal? Bring the holiday to you. 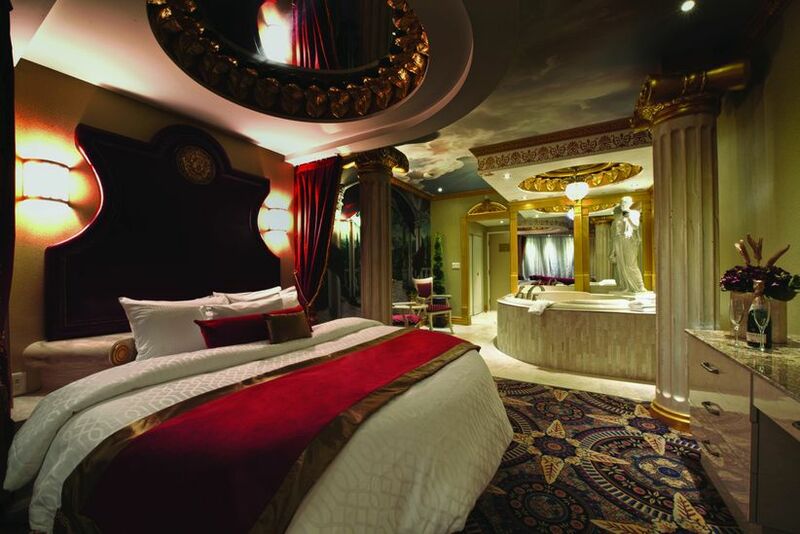 Book a luxury theme suite at the Fantasyland Hotel - it has everything from an Arabian oasis to an Arctic-inspired space - and prepare for some serious relaxation. Its packages cater to every type of couple, so you can really tailor your staycation to your interests. Once you’ve settled in, get down on one knee - you can spend the rest of your time celebrating. 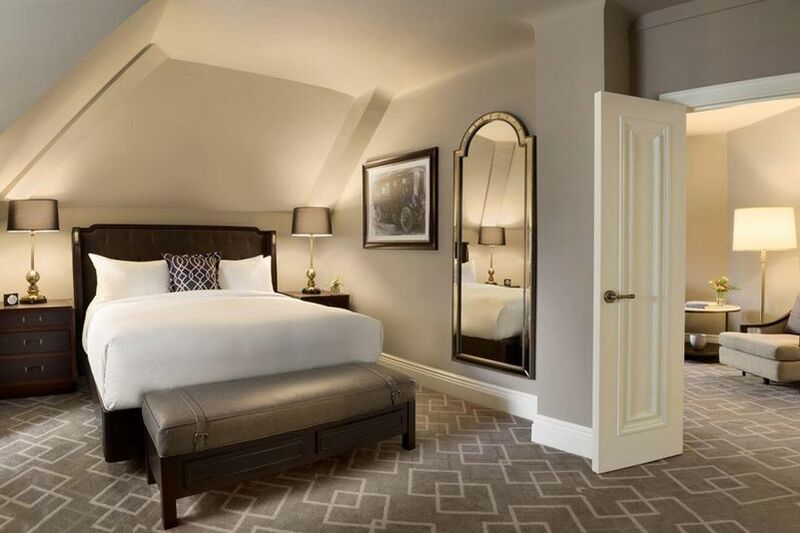 If a themed suite sounds a little too whimsical for your taste, book a room at the Fairmont Hotel Macdonald. It offers a romance package which includes a half dozen roses, champagne, chocolate dipped strawberries and more , that’ll put you and your partner into full loved-up mode. There’s no bad time or place for your proposal here (every space is magical) - so choose what suits you best. The North Saskatchewan River is definitely in the running for the most romantic place to propose in Edmonton. Whether you want to drop down on one knee at the banks or pop the question out on the water, there are plenty of ways to bless your big moment with its beauty. Word to the wise, if you go this route, you’ll want to have a firm grip on your ring or use a decoy (the last thing you want is for it to go MIA under the water). 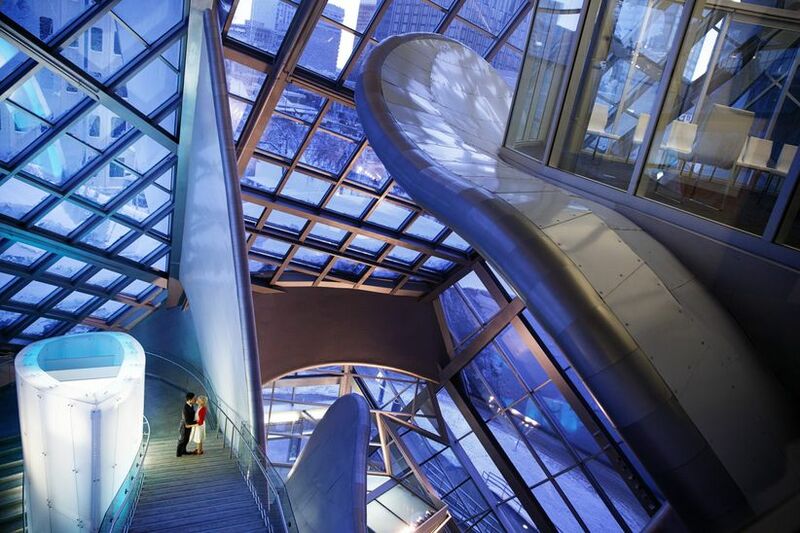 If your partner loves photography, prints, paintings and portraiture, the Art Gallery of Alberta might be a winner. Its hallowed halls are decked out with pieces by greats like the Group of Seven, Marlene Creates, Takao Tanabe and more, making it one of the most aesthetically pleasing places in the city. Even if your S.O. isn’t big into fine art, the building is pretty striking and offers tons of awesome spots worthy of your proposal. Want to travel far far away without leaving Edmonton? Let Lee Pavilion be your escape. Its open to the public year round and is filled with tropical trees, plants and blooms, so it will give you all those holiday feels without having to hop on a plane. 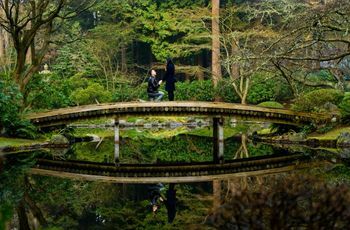 Aim to find an intimate space under its canopy to get down on one knee - you may want to go on a scouting mission beforehand to find the most beautiful place. Once the deed is done start searching for wedding flower inspo. 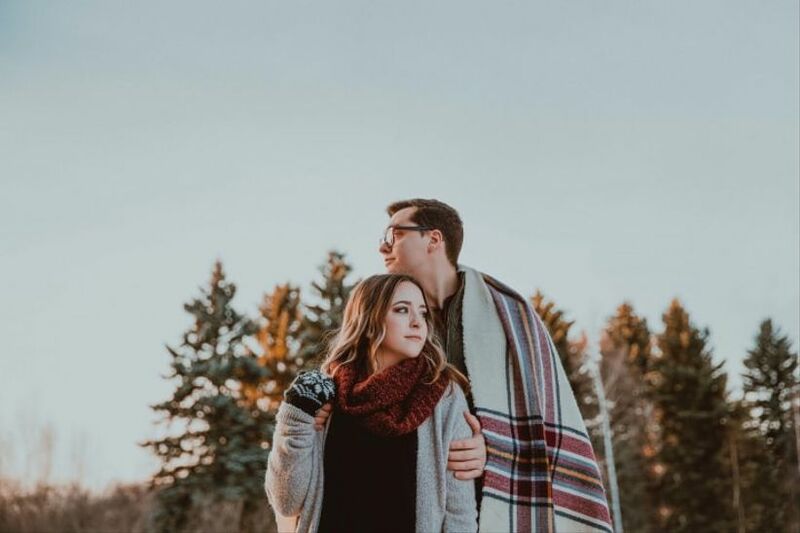 This 68 hectare park is good for more than just outdoor fun and games - it’s one of the most romantic places to propose in Edmonton, too. It’s home to a large lake and plenty of grassy areas, perfect for picnicking. Thanks to its size, you should have no trouble finding a secluded spot far away from other lovey dovey couples and rowdy kids for your big moment.